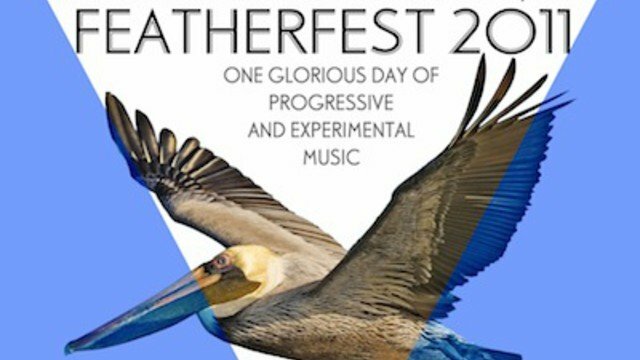 Sydney’s stalwart champions of all things prog the Bird’s Robe Collective have just announced the line up for their annual prog celebration Feather Fest, the event moving to Tone this year and featuring an impressive line up of international and local talent. Headlining this year is legendary avant-garde Japanese drummer Tatsuya Yoshida from seminal two-piece Ruins, performing as Ruins-alone. Formed in 1985 and having gone on to release over 30 albums, RUINS are undoubtedly one of the most influential groups to have emerged from the Japanese underground and Yoshida has always been the band’s driving force. Playing solo as Ruins-alone since 2004, including a performance at the Matt Groening curated 2010 ATP, this performance at Feather Fest is sure to be one of the most out there musical appearances to look forward to this year. Ruins-alone are joined as headliner’s by Melbourne’s Umlaut, pet project of Mr. Bungle trumpet player Bär McKinnon. Featuring a stellar cast of local players, Umlaut’s music has been described as cartoonish, frightening and impressively absurd. Feather Fest being their only planned performance in Sydney before heading off to tour South America with Secret Chiefs 3, a must see for any frustrated Bungle fans still pining for a reunion. There are a horde of other local bands on the line up all well worth going into more detail about, but hey, I don’t get paid enough so here’s the full line up and event details. For more information visit the Bird’s Robe Collective website.